Emulate your pro rider idols with one of Europe's best cyclosportives and Gran Fondos taking in a blend of legendary climbs and picturesque surroundings imbued in cycling folklore. Cycling writer Felix Lowe picks out his favourite events. 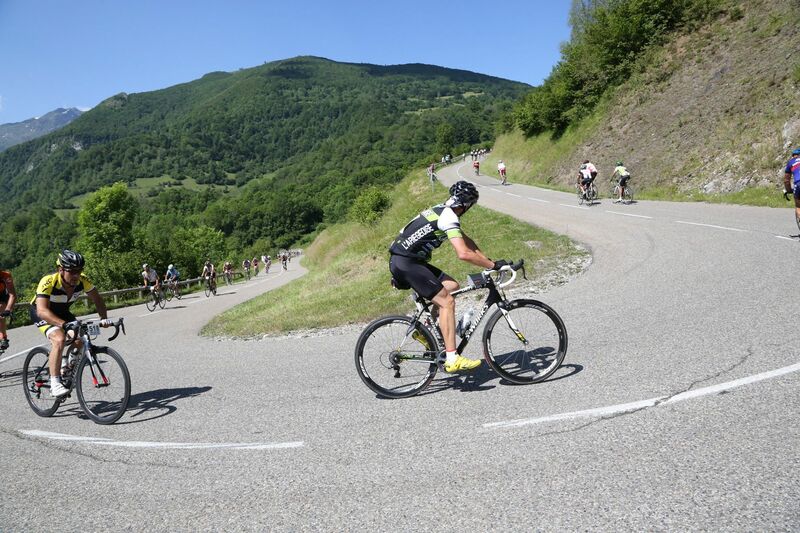 With more than 80 Pyrenean peaks to choose from, the narrow roads around the sleepy town of Tarascon-sur-Ariège are an ideal setting for a friendly, community-driven cyclosportive that last year attracted almost 5,000 riders. Now in its 21st outing, the Ariégeoise passes pine forests, lush meadows, flowing rivers and the ruins of numerous Cathar castles, concluding with a brutal 16-kilometre ascent of the fearsome Plateau de Beille on alternate years. Once they're done, riders are awarded with a celebratory Tartiflette at the finish. Since its inaugural outing in 2009 this gruelling Gran Fondo in the Dolomites has reached cult status among Italians, with organisers claiming the it to be the hardest of its kind in Europe. Starting and finishing in the beautiful Renaissance town of Feltre on the Stizzon River, this year's stunning route through the UNESCO world heritage site boasts more than 4,300m of elevation gain, taking in four peaks including the interminable Passo Manghen and its maximum gradient of 15%. Just bear in mind the event's slogan: 'Only for real cyclists'. Blending nostalgia, picturesque surroundings, arduous terrain and delicious food, L'Eroica - the Heroic - is the Gran Fondo of choice for lovers of all things vintage. Entrants must use pre-1987 bikes with steel frames, leather shoes and toe clips, while kit must be in the spirit of yesteryear (wool not lycra). More a celebration than a race, there are four routes covering some of the most beautiful roads in Chianti, Valdarbia and Val d'Orcia. Each includes stretches of white dirt roads - the fabled Tuscan strade bianche. Spin-off events now take place in Britain, Spain, California and Japan. Riding the Haute Route is the closest amateur cyclists can get to doing their own competitive Grand Tour, with each event taking place over seven consecutive days in the Pyrenees, Alps and Dolomites. Tackling world-renowned climbs that feature in the Tour, Giro and Vuelta, each route also includes an individual mountain time trial. From the Basque coast to Toulouse, the Pyrenees event includes the Aubisque, Hautacam, Tourmalet; the Alps (Nice to Geneva) takes in the Bonnette, Izoard, Galibier; while the Dolomites and Swiss Alps version (Geneva to Venice) includes the Stelvio, Gavia and Giau passes. Special 'compact' routes are possible over 2-3 days. It's hard for most amateur cyclists to watch the bone-jangling Tour of Flanders one-day spring classic without feeling a strange urge to take to the cobbled roads of Belgium - and since 2004, around 16,000 riders per year have been able to do just that. Blending the new and old course of the professional race, this huge event takes place one day before the pros come to town and features all the famous cobbled climbs - including the punishing 22% Koppenberg where even Eddy Merckx once walked. A similar event, the Paris-Roubaix Challenge, takes place ahead of the other iconic cobbled 'monument' one week later.